These adorable and very happy succulents are quick, easy and fun to make, but also so versatile! You can make a lovely garland, make them as magnets or give them as party favors!! 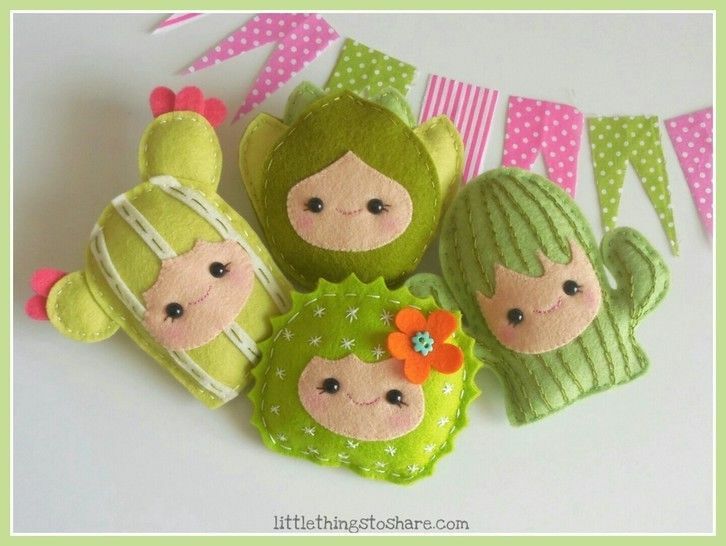 This PDF document will give you instructions and patterns to hand-sew all four sweet succulents. This set includes the AGAVE, the SAGUARO, the GOLDEN BALL and the OPUNTIA. they all measure about 3 or 4 inches. Mass production, resale, and distribution of pattern pieces or instructions are hereby prohibited. Mass production (production using industrial machinery) of finished product is expressly prohibited. Partial or total reproduction of document or sharing of photos of pattern or any process step is specifically prohibited.